A special day deserves a special recipe. Making this delights we can give to our great love something that makes our special person happy, showing how much we love him or her. 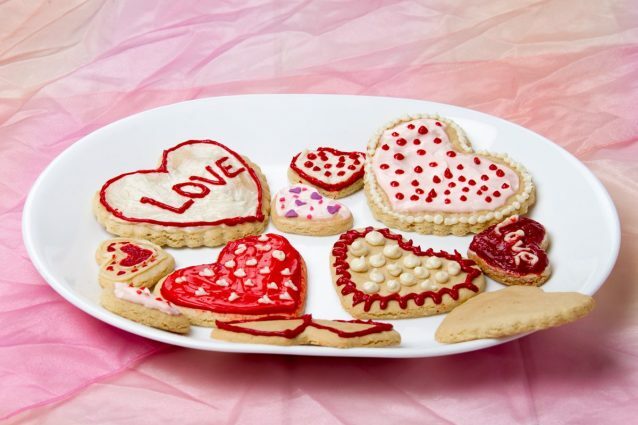 Nobody could resist these loves inspired cookies, their delicious flavor, texture and beautiful appearance, making them an ideal gift for our couple on this romantic day. 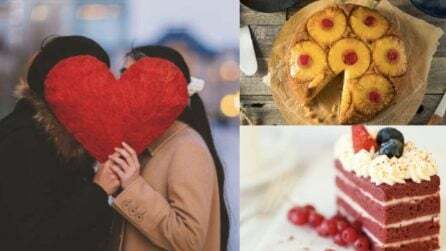 Their easy and funny preparation will also make fall in love. At the time of decorating you can let your imagination flow, doing real beauties. 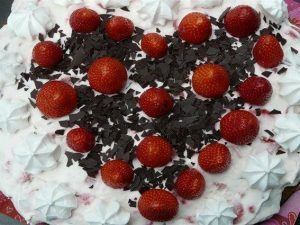 I am delighted to contribute with love, and I hope to make many lovers smile with this recipe. Happy Valentine’s Day. Prepare all ingredients before starting. In a bowl add butter and beat up at room temperature. Once butter is creamy, add the sugar, the zest of lemon and keep beating up. Proceed to incorporate the eggs, one by one. In other bowl sieve the flour. Now add the sieved flour to the first bowl slowly and beat up since you do it. Once all the flour is added, proceed to knead into the bowl, until you get a compact dough. Put this dough on a clean, flat surface and knead again briefly. Cover it with plastic wrap in a thick rectangular shape. Take it to the refrigerator for about two hours. After these two hours, prepare a baking tray with wax paper, preheat the oven at 180°C /350 °F, take out the dough from the refrigerator, and proceed to shape the cookies. On a flat, floured surface extend the dough with the help of a roller until you get a 0.2-inch thickness. Now cut the cookies with a heart shape mold. Put the cookies on the baking tray and introduce into the oven, until cookies are golden (10 to 15 minutes). Take them out to the oven and let cold. Sieve the caster sugar in a bowl. Put the egg white in a second bowl. Beat up the whites about to snow. Add slowly the sieved caster sugar, always beating up. Keep beating up at high speed until stiff peaks form. Once it is ready, separate in several bowls and color it (as many as color you want to use). To decorate use a pastry bag or injector, and several nozzles, based on the design you want for the cookies. Use a small round tip nozzle. First cover the cookie contour and after proceed to fill the center uniformly. First use the small round tip nozzle to cover the contour. Later change the nozzle for a plane tip one to fill the cookie center with different color horizontal stripes. Cover the cookie top completely with royal icing. Now proceed to make different color horizontal lines with the small round tip nozzle. Cover the cookie top completely with royal icing (for example white). Put now some circles of different color and give them the desired shape (hearts) with a toothpick or a modeling needle. Cover the cookie top completely with royal icing (for example white). Put now some ovals of different color and give them the desired shape (lips) with a toothpick or a modeling needle. Once you have decorated the cookies, allow the royal icing dry. 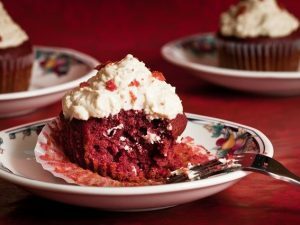 It will take between 10 and 15 minutes at room temperature. And the cookies are ready to be enjoyed with that special person.